To begin with the area had to be cleared which involved cutting back some large shrubs to access the work area. One of the pot plants was lot found and rooted to the floor so the root was severed. We were then ready to wet down the entire work area and begin removing all the old mortar. The flags were all pressure washed to remove grime and mortar. The resin mixture was then poured into the gaps and brushed clean. 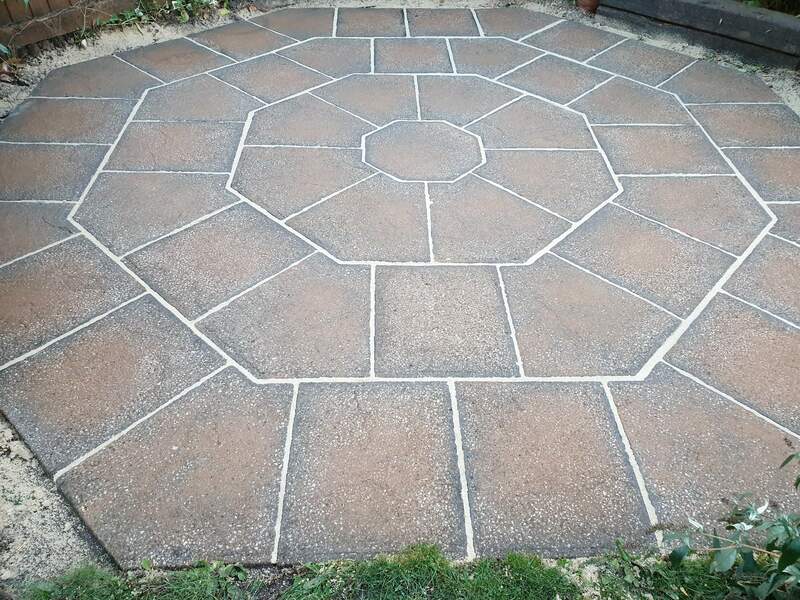 The customer and their neighbour both commented that the patio looked brand new. A sign that we could be happy with our work.